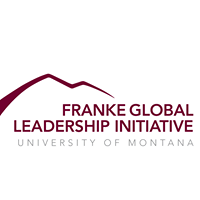 Beyond the Classroom – Page 2 – Your gateway to the Beyond the Classroom Experience with the Franke GLI at the University of Montana. The Nature Conservancy (TNC) is one of the largest nonprofit conservation organizations in the world. They have conserved over 100-million acres across 72 countries with the help of one million members. There is a small and ambitious branch of TNC located in Missoula, Montana. In the last two decades, they have carried out the largest single private conservation purchase in history, right here in our backyards. In the push to settle and develop the West, the federal government used a rectangular survey system that split the land into systematic boxes. Attempting to entice railroad companies, the federal government gave them alternating 1-mile parcels of land. Over time, these railroad holding were sold to ranchers, settlers and timber companies. The checkerboard of ownerships continues to create enormous challenges for land managers today. Plum Creek Timber Company came to own more than one million acres of this former railroad land in Montana. When Plum Creek began to transition away from logging, TNC saw an opportunity to take on a complex and innovative conservation strategy to condense ownership of this important landscape. As an interim owner, TNC is holding an extensive collaborative process to work with neighbors and partner organizations to redistribute the land to permanent conservation owners. This landscape is the southern tip of the Crown of the Continent, which remains one of a dozen places left in the world that has not has a single recorded post-industrial plant or animal extinction. It is vital habitat as well as historic, working land. The project will ensure its conservation for wildlife, rural livelihoods and recreationists. My global theme is natural resources and sustainability. I chose to do my Beyond the Classroom experience in Montana because I wanted to develop a deeper understanding of the groundbreaking work happening in the part of the world I already call home. My original plan was to participate in a three-month internship. I quickly realized that to work on a project that exists on a decadal timeline, I was going to need to keep showing up if I wanted to add something of value. My official GLI internship has been the beginning of a much longer relationship with TNC and their partners. I am a communications and coordination intern, which means I am both creating storytelling materials and coordinating collaborative workgroups and events. I have had the opportunity to attend many meetings and observe collaboration in action. I have practiced taking notes and organizing them in such a way that captures the important information the group wants to carry forward. I have practiced setting up an online database for information sharing. I have practiced designing timelines and delegating responsibilities. I have practiced holding my colleagues (and myself) accountable to those timelines. I have practiced writing invitations and dealing with the messy logistics of other people’s schedules. I have practiced my interview, photographic and writing skills. I have been challenged to be resourceful when I lack experience and knowledge. I have learned to ask loud and clear for the materials and information that I need in order to do my job well. Most important off all, I have built relationships with some of the most passionate and intelligent people I have ever met. I feel so lucky to have a window into such exciting conservation work in the West and to actually play a role, however modest, in moving it forward. Thank you to Jeanne Loftus for connecting me with The Nature Conservancy and thank you to the Franke Family for funding my work with them. This has been and continues to be the most challenging and rewarding set of projects I have done thus far in college. I set out for India, to a rural village called Loni in the province of Maharashtra (the same province which contains Mumbai), with a lot of preconceptions, a lot of ideas about how it would be, and a lot of curiosity about how the people live. Some of my thoughts on how things would be were correct, but there were many things which broke my preconceptions. My Franke GLI global theme is Global Public Health, and my challenge is related to mental health treatment, perception and stigmas, and how it relates to physical health and society. Considering that around 99% of the population is religious in one way or another (with over 80% being Hindu) and the primary occupation is agricultural, I thought this experience in Social Health and Development at the Center for Social Medicine (CSM) would fit nicely with my own interests and studies. The CSM organization is a locally started NGO which has totally transformed the local and surrounding areas of Loni. As a branch entity of the Pravara Institute of Medical Sciences – Deemed University (PIMS-DU), the CSM works to expand the rural and tribal populations’ access to healthcare and livelihood services. This comes in the form of primary healthcare centers, mobile medical outreach, HIV/AIDS migrant worker screening camps, school health education programs, partnerships with government and NGO organizations to rescue children and women in compromising situations, and much more. They are constantly working to promote the health and welfare of the rural population, women, and vulnerable groups to achieve the best outcomes possible. The work they have done in rural India is truly amazing and inspiring. Rural India is a place of chaotic fluidity. Many people of different religious beliefs live together, oftentimes within the same village, and are mostly non-contentious with one another. Traffic laws seem to be non-existent (though that is a common attribute I found in rural and urban areas), and yet there is a flow that somehow manages to work despite this. This flow appears to extend into the medical arena as well. Doctors at the local hospital operated quite differently to the states. Many rural farmers and workers are still illiterate and, despite the reach of technology, run off a more relaxed perception of time. There is no making appointments. This means that through the day there are times of high-volume and times of no-volume. It really keeps you on your toes. This combined with the variety of extremely progressed and “rare” cases made it very interesting to be around. I had many opportunities to witness interactions, treatments, and cultural norms which you don’t see in documentaries. I also got to know the more minute aspects, since the slow times gave me ample opportunity to have discussions with the doctors and students. All around, my clinical experiences were ones I could only have had in rural India. The public outreach work and rural postings were quite rewarding. Being able to see the people and the children in their normal, daily routine was both intriguing and fun. The children were all so cute! It was inspiring to see what is being done by both the government and private organizations to help elevate the health of the people. The number of experiences are far too many to write about in just one blog. All I can really say is this: Go see it for yourself! Experience the challenges, the successes, the food, the people, the weather, and the wonder! It wasn’t an easy experience, but I’m so thankful for all the support and assistance I received to go on this life-changing journey! A defining moment for me in my out-of-classroom experience was when I had a lengthy conversation, fully in Spanish, with a guide from UNESCO World Heritage about moss. Specifically, we spoke about the moss stuck to some ruins of Machu Picchu, Peru, but the moss was the focus of the discussion. This conversation about a mundane plant (albeit in an extraordinary place) will stick with me because it made me realize that I had accomplished my goal. When I arrived in Santiago, Chile for my semester abroad, I struggled to ask for directions. Speaking Spanish was terrifying—what if my accent was horrible? What if I couldn’t conjugate my verbs correctly? Well, I learned very quickly that my Spanish accent is just awful, and my conjugations are rarely correct, but it doesn’t matter. The guide at Machu Picchu did not care that I didn’t use the right subjunctive tense, he cared that I asked about the ecosystem of the site and was happy to answer my questions. Gaining the ability to exchange ideas and communicate in another language was the reason I wanted to study abroad. After taking years of Spanish classes in the U.S., my capacity to have a one-on-one conversation with a native speaker was embarrassingly limited. I don’t fault my teachers or professors for this, it’s just how our education system works. In a typical classroom setting, a teacher lectures and students listen. This is effective to teach a mass of students proper grammar and it helps them understand the language. However, having to produce that language, out loud and in real time, is a whole new ball game. I chose to study in Chile for its incredible nature (think Andes Mountains, Patagonia and the Atacama Desert) and its interesting political history (think Spanish colonization and Pinochet dictatorship). Luckily, it also turned out to be the Latin American country known for its extremely difficult accent and dialect. I say this is lucky because if I am proficient in Chilean Spanish, I’m can speak it anywhere. After four months of living with a host family, taking classes at a Chilean university and having to accomplish everyday tasks, like taking the bus or buying a coffee, my Spanish is exceptionally better. Although I do have more to learn. I’m a journalism student and the ability to communicate is key for my future career. I want to ask lots of questions, investigate important issues and inform people about their own communities and those on the other side of the world. I can only do that job justice by communicating with a wide variety of people living diverse experiences. People should know that as Machu Picchu continues to become one of the most popular tourist destinations in Peru, its ecosystem is changing, which will require visitation restrictions in the future. I wouldn’t have known that if I hadn’t been able to speak Spanish with the guide, who was friendly and eager to tell me more. I could write about hundred stories, just like my experience at Machu Picchu, from my semester in Latin America. I will forever be grateful for the opportunity to have had these interactions, improve my Spanish and learn more about moss in Peru. This last spring semester of 2018, I left the classroom to set out on a new exciting adventure. I headed down south to spend the semester studying in Wellington, New Zealand. I arrived in the capital of New Zealand, a city bigger than I had ever experienced in my life. Living not only in a new country, but in a large busy city was all new to me coming from the quiet city of Missoula. Wellington is a unique city in the sense that it contains multiple different enviroments. For example, I could walk from city central, to the harbor, and then to the hills—home of their famous botanical gardens, within minutes. Everything I could possibly want to explore, was just a few steps outside my flat. While in New Zealand I was able to experience the real “kiwi” lifestyle. This lifestyle involved drinking lots of flat whites, site-seeing the breathtaking countrysides and crystal clear rivers with monstrous brown trout, and of course tramping through the land of the Lord of Rings. The exploration was endless. However, through all this exploration I gained something more than just experiences—I gained the skill of leadership. Traveling alone allowed me to gain confidence in my independence, which in return allowed me to be confident leading others when traveling in groups and while working with other students for my courses. While in New Zealand I not only explored a beautiful country, I was also able to study in a country that taught differently than our home University at UM. Gaining more knowledge on my global challenge of mental health, I took different psychology course at Victoria University of Wellington. These courses allowed me and pushed me to think more critically about not just how the mind works, but also the issues that arise in the psyche as well. By studying psychology in a different country, I was able to experience cultures from all over the world and come to a conclusion that mental health is a leading problem worldwide. On top of my studies, I attended several mindfulness workshops on how important it is to be present and not get caught up in the material world. With the combination of experiences through the psychology courses and workshops, I’m excited to be able to apply what I learned into our GLI Senior Capstone project on different mental health issues at a local level in our very own town of Missoula. Studying abroad was one of the most challenging, yet, rewarding experiences this far in my academic career. It allows you to open your mind and experience things you never thought you were missing out on. It’s an experience of a lifetime and one everybody should take advantage of. My study abroad experience in Aix-en-Provence was one that has shaped me into the person I am today. I was able to experience different lifestyles, cultures, and ideas all in a short period of four months. During my first three years in Missoula, I watched as the political climate of the US changed drastically and I wanted to discover how other countries viewed the political side of religion. For my GLI experience, I planned to take a deeper look into immigrant and refugee issues. My host city, Aix-en-Provence, is situated in the south of France, only thirty minutes from the second largest city, Marseille. Marseille is starkly different to the rest of France. Because it is located on the Mediterranean Sea, it has become a new home to many immigrant families, many from Syria, Libya, and Northern Africa. From the bustling cities of Paris and Nice to the small villages of Arles and Avignon, the French love to spend time together. Sharing a meal, having a cigarette, or drinking a glass of wine is necessary to every day life. Their culture is based on tight knit relationships: young people often live with their families much longer than in the US, and even after moving out, will still visit regularly to spend time together. I really appreciated this part of the culture, whether it be a couple walking in the park, old men playing “pétanque” every Saturday, or a group of young high school boys eating pizza at their usual spot at lunch. This also made it difficult to understand the French view of the “other”. Their perception of foreigners can be negative, and I struggled to find acceptance as an American. I can understand that sometimes people associate stereotypes and political leaders with the people from that country. But it made me wonder how they perceive immigrants and refugees? Through research, I learned that France has struggles to define who the “French” man or woman is, with immigration being a major political issue throughout the years. I believe it is deeply rooted in the French history, dating back to the French revolution and the freedom from religion. France is working towards a more tolerant view of other religions and others in general. I hope to bring to the US a new perspective on religious tolerance and immigration – two issues that have shaped the political climate today. We have seen in these past few months, the detainment of immigrant children in the US. I think this issue is more prevalent that ever and is fueled by hate, not reason. As Americans, I do believe it is our responsibility to be the change we want to see in the world. We not only are privileged to have the freedom to do so, but the resources as well. GLI has given me the platform to make a difference in our community, to what I hope leads to a difference in our country.